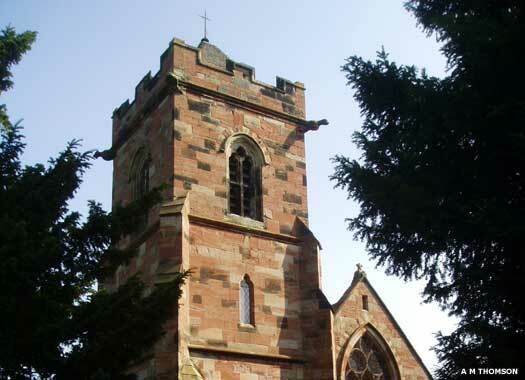 St Chad, Wishaw, is on the eastern side of The Gravel, close to Church Lane. The dedication is for St Chad, bishop of Lichfield (669-672), suggesting the original wooden church was built around that time or perhaps shortly afterwards. The present building was erected at the start of the thirteenth century, standing somewhat remotely amidst the fields. The warm red sandstone chancel is the oldest part remaining. 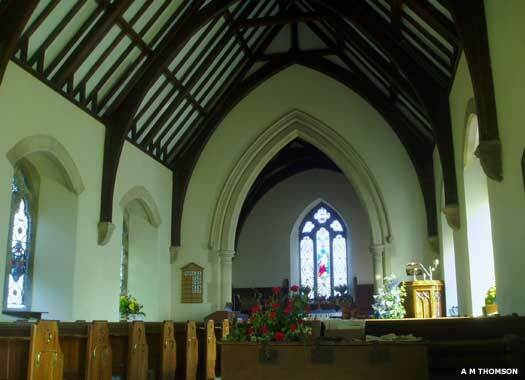 The nave was added at the end of the same century. Above the sloping roof of the nave is the vertical wall of the clerestory which was added late in the fifteenth century. The tower was built in 1650. A general restoration took place in 1886, which is when the vestry was added (the small extension nearest to the camera in this photo and adjoining the porch). Buttresses were also added, as the walls no longer seemed capable of bearing the weight of the roof. The tower contained two bells, with a third added in 1997. St John the Baptist, Lea Marston, stands between Church Lane and the River Thame, to the south of the village and the railway. The parish is a small one, four and-a-half kilometres (three miles) long from north to south and about one and-a-half kilometres across (one mile). 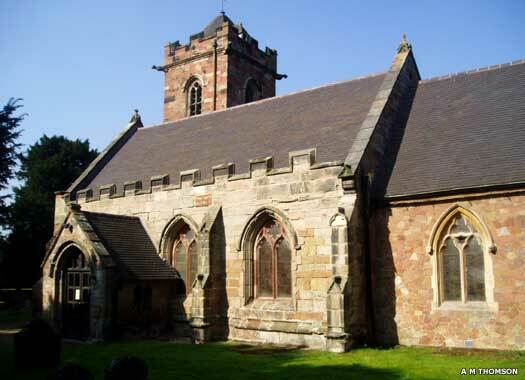 The church was built in the late thirteenth century, in ashlar, although only the south wall of the nave (featured here with the new chancel to the right) and perhaps much of the north wall survives. The church seems to have been lengthened westwards for a former bell turret in the fifteenth century, when the south porch was also added. 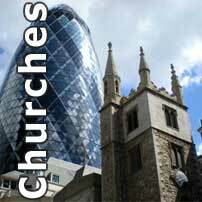 In 1876-1877 the chancel was entirely rebuilt, the tower was added, and a great deal of renovation work was carried out to the nave. The modern tiled roof has a barrel-vaulted ceiling of stained deal. The tower contains a ring of three bells. One was by J Rudhall in 1791, while the others date to 1855 and 1873 by Taylor. 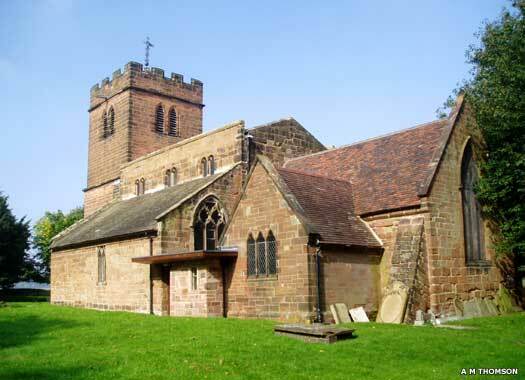 St Giles, Nether Whitacre, lies in the triangle formed by the Coventry Road, Dog Lane, and the church's lane. There are indications that a Saxon church existed on this site, although it seems to be difficult to confirm. 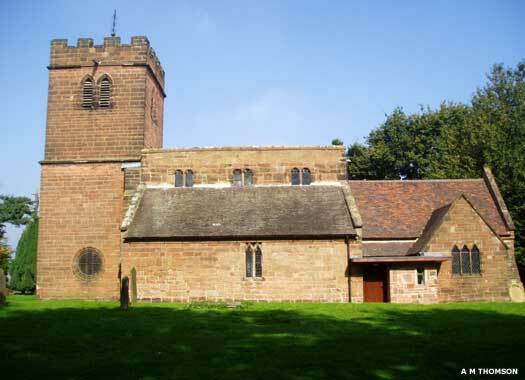 By 1280 the Norman chapel of Nether Whitacre had been appropriated to Markyate Priory, where it remained until the Dissolution. After 1545 it was granted to Thomas Marrow. The parish registers date from 1439, making them some of the earliest in the region. The first stage of the west tower was added in the sixteenth century, perhaps replacing an earlier effort of the fourteenth century which left traces of its existence in the carved stones which survived it. 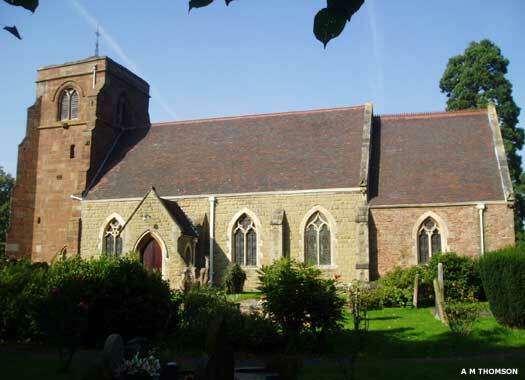 The church was largely renovated by the Victorians in the 1870s, removing most original features apart from the tower, some fourteenth century glass, and some rubble walling. The work seems to have included a great deal of rebuilding, even down to the doors.